Haunted Hathaways’ Benjamin “Lil P-Nut” Flores Jr.
Shakers, premiering Saturday, Sept. 12, at 8:30 p.m. (ET/PT). girl who dreams big, and Kenzie (Madisyn Shipman), a kid who can code. (Thomas Kuc) to launch their own gaming empire. premiere episode will be available for free on iTunes for one week. business partner along with his son Triple G as a game consultant. 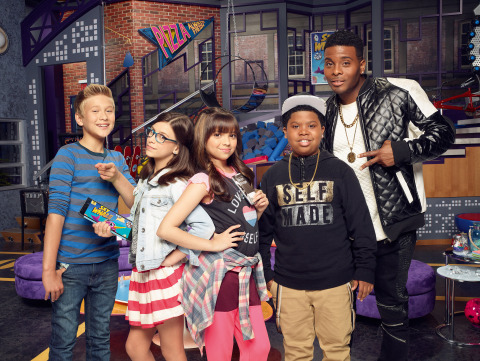 work to make Game Shakers a huge success in the gaming world. @GameShakers, on Instagram @GameShakers and “like” it on Facebook here. 1994 to 1998, and then returned to run the show in its seventh season. information or artwork, visit http://www.nickpress.com. of Viacom Inc. (NASDAQ: VIA, VIA.B).